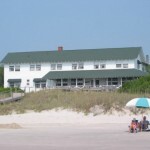 The fanciful names of the houses let you know this place has character: Pawley Wawley Doodle All Day, Justavacation, Fantasea, Tottering on the Drink, Dad’s Lega-sea, Conched Out, Snail’s Pace, As it Was, Mommy’s Relief. It’s obviously a place full of characters, too who prominently display their iconic bumper sticker “Arrogantly Shabby”. Before I came to Pawley’s Island, I asked some folks who go there often what they do there. “Well, I spend the day walking to the inlet and back,” one said. “I sit on my porch and drink wine all day,” said another. 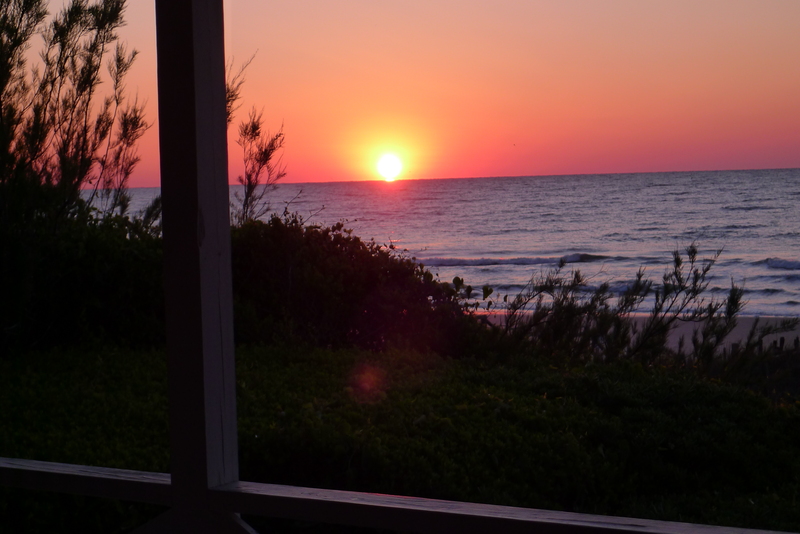 There is really nothing to do on Pawley’s Island and that’s why people go there. No filling stations, no hotels, no grocery stores, no cruise ships. Pawley’s is really just a narrow four mile sand bar off the South Carolina coast with the marsh on one side and the vast ocean on the other. 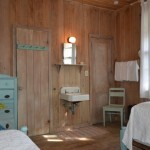 A hodge-podge of cottages, cabins and shacks started being built there in the 1850’s. A sprinkling of newer McMansions complete the mash-up of styles perched on the sand dunes among the oak trees and sea oats. 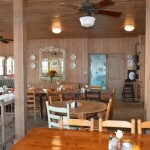 It takes about an hour and a half to drive to Pawley’s from our home in Charleston, SC. On the way my husband and I took the opportunity for some of the best bicycling in the state with a stop at the Santee Coastal Reserve just north of McClellanville. Once a huge rice plantation, the reserve is now a protected Wildlife Management Area. The 24,000 acres are arranged roughly in a grid with the lines providing easy, flat bicycling or hiking and the flooded areas hosting an abundance of migratory birds and alligators. 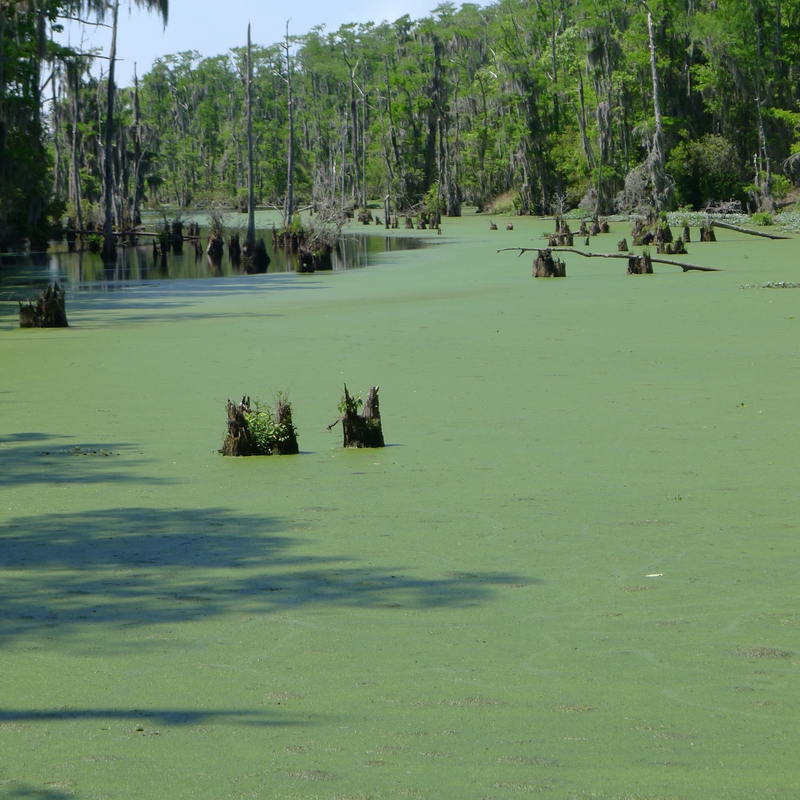 The diverse habitats include rare Carolina bays, forests, brackish ponds and salt water marshes next to the Intracoastal Waterway. It has the reputation of being one of the finest and best managed wildlife areas in the Southeast but we practically had the place to ourselves as we rambled the trails through the forests and out to the marsh. “Every time I go on one of these excursions with you I come home bleeding. That’s how I know it was a good time,” my good-natured husband joked as he put our bikes back on the car and bandaged some cuts and bruises from running into a thorn bush. Farther up the coastal highway we came to the industrial town of Georgetown with its belching steel factory which reopened in 2004. From Hwy. 17 Georgetown looks uninviting but the reinvigorated riverfront has a lively boardwalk of boats, restaurants, and bars where we joined a few others for a well deserved happy hour. Throughout the day and evening, the porches and the living room provide gathering places where people play games, read and relax. There’s lots of camaraderie. 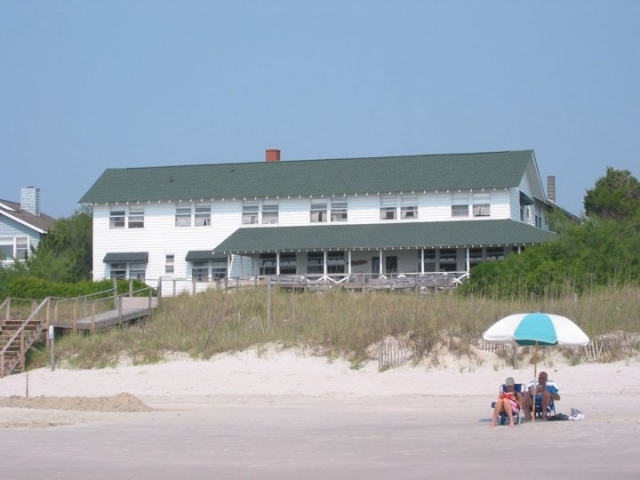 In fact many visitors have become part of a “Pawley’s Island Family” that gathers each year on the same week to vacation together. 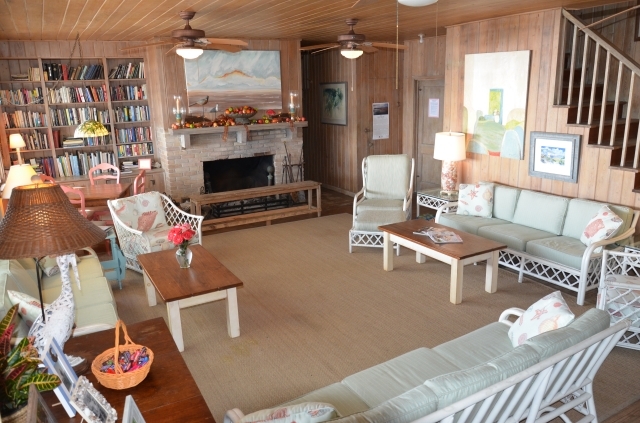 The culture of the Sea View Inn is incredibly strong and enduring. Kipp succeeded his parents who managed the inn previously. He’s been coming here since he was a small child when his godparents owned it. Some of the staff have been here for two or three generations. “They’re as much a part of the Sea View as the walls and beds are,” Kipp says. 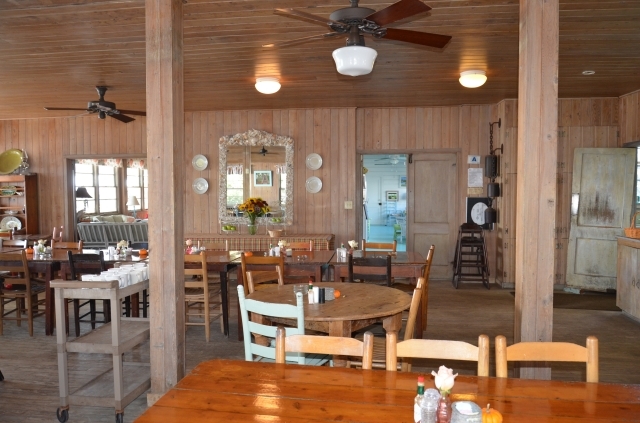 The kitchen staff is comprised of women and often their kin serving bountiful Low Country fare with Gullah and local adaptations: fresh seafood, rice, clam soup, sweet potato casserole, fried okra and green tomatoes, snap peas, shrimp n’ grits, cheese biscuits, BBQ chicken and Lowcountry shrimp boils are typical dinner fare. Meals are served with a decidedly unfussy attitude and are followed by homemade desserts with recipes that have been handed down in families. Pawley’s Island Pie is a favorite as well as lemon cream cake and strawberry cake with cream cheese frosting. Sometimes tourists or locals come just for these hearty authentic meals. If you stay a few days, the kitchen staff warms up to you. During our stay Mary Francis Duncan, who has been working at the inn for 14 years, gathered her coworkers around a table and sang “Happy Birthday” to a child in a spiritual rendition inspired by years of singing in country church choirs. The setting couldn’t be more perfect. 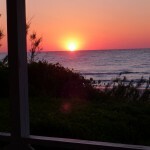 I could actually watch the sunrise over the ocean from my pillow. 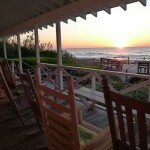 The beach is at the doorstep and everything needed to enjoy the sun and surf is just below the porch, help yourself. Boogey boards, kayaks, beach chairs, umbrellas. 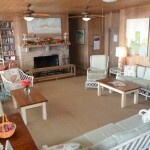 The common room is stocked with games and books, magazines and brochures. Photos and news clippings are tacked to the walls. During the chilly evenings, a fireplace blazed. There’s a shared refrigerator with labels to mark your wine and snacks but everyone shares them in the evening as life stories are told and scrabble or card games assembled. This lack of pretense has struck a chord with people. 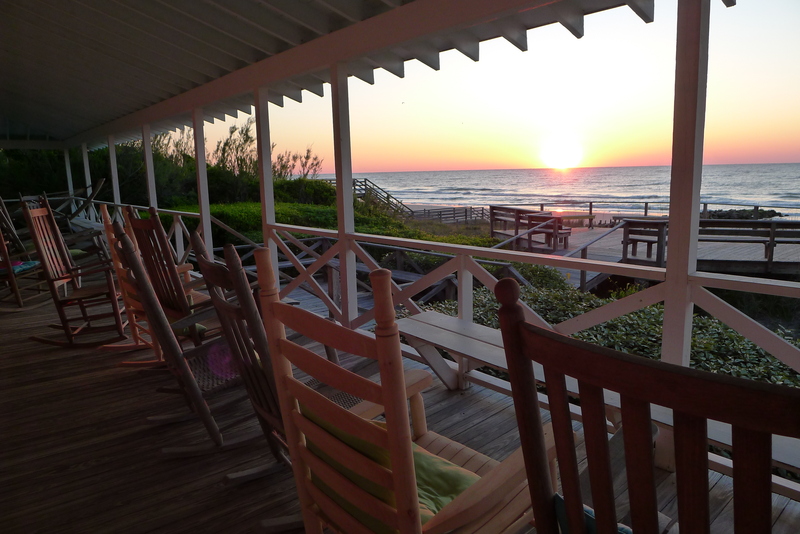 “I’ve dreamed of a place like Sea View Inn all my life and finally got to visit this summer. I hope to return again and again,” wrote one guest. Even more rhapsodic: “Here at last, here at last. Thank God Almighty, we’re here at last,” wrote another. 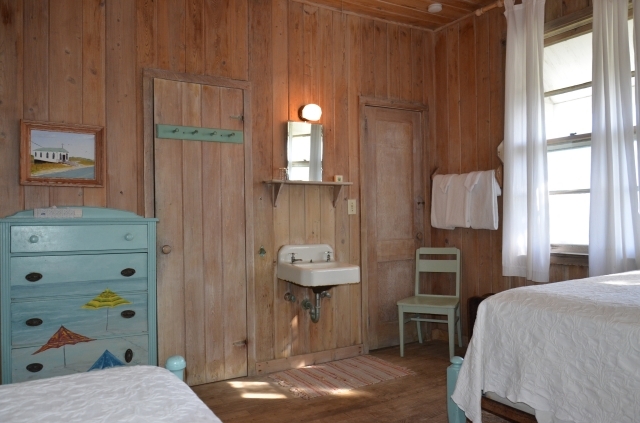 Visitors often reserve their next stay before leaving. Impressively, the inn is booked pretty solidly throughout the season, mostly with returning guests who stay a week or more. 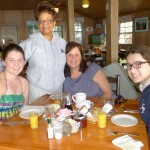 Kipp creates a collage of smiling visitor’s faces each year for a mass mailing postcard as if every visitor has become part of the Sea View Inn family. One of the guests during our visit had been coming for fifty years in a row. 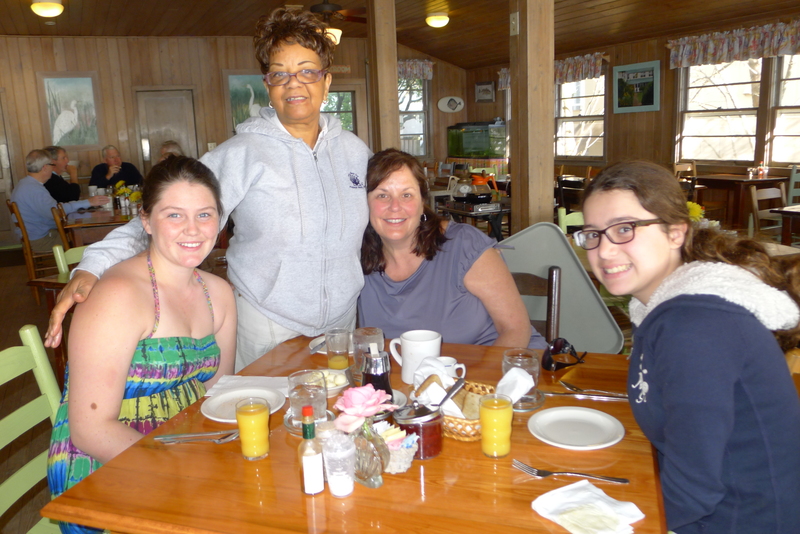 I asked a mother and her two teenage daughters who were visiting for the first time from New Jersey if they could imagine themselves coming back every year for fifty years. I was remembering my own children’s reluctance to travel with our family when they were teenagers, but to my surprise it was the 14-year-old Gabrielle who answered the quickest. “Yes!” she immediately shouted. Such is the power of Pawley’s Island. Wanderlust, intellectual curiosity, and a passionate interest in cultures has led me to the biggest adventures of my life. I met my husband while living on a kibbutz, spent a year hitchhiking the Pan-American Highway through South America, traveled the United States searching for our home port of Charleston, South Carolina, and hiked the trails of North Carolina, Jamaica, Italy, Israel and South Carolina. My column, “Roadtrips Charleston” in Lucky Dog publications highlights nearby destinations while my freelance work in places such as Charleston Magazine, S.C. Wildlife Magazine, and gonomad.com tells of more far flung experiences. I am inspired by the idea that everyone has a story and by the vast diversity of ways that people live in this world. I’d love to hear your opinion on Walmart trying to come to Pawleys Island. We are trying to keep it out, and your opinion might help.